In California, air pollution is only monitored on a regional scale. That’s 272 active monitors for 38 million people. This simply isn’t enough. It has been well documented that air pollution can vary greatly by location and geography. 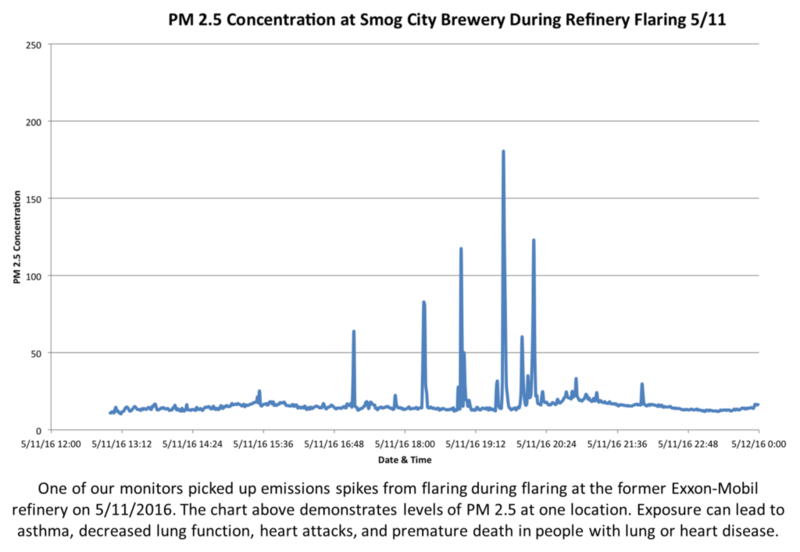 Living within close proximity to a freeway, refinery, major industry and other factors such as time of day can be the difference between “good” and “hazardous” levels of exposure. 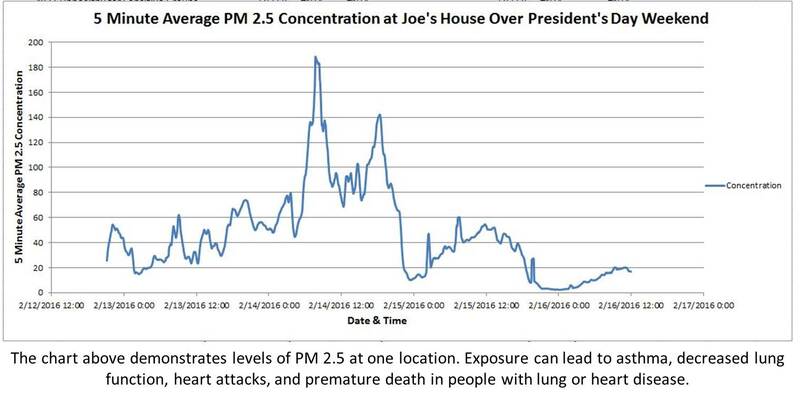 At CCA President and CEO Joe Lyou’s house, we saw how a concentration of fireworks and barbecues over President’s Day weekend increased air pollution exponentially. 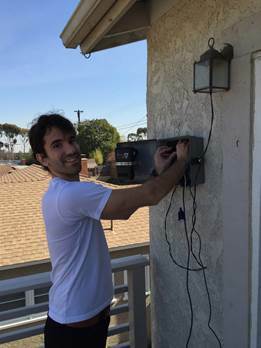 Near the site of the Exxon Mobile refinery in Torrance (below), our monitors picked up pollution spikes where local air quality regulators’ monitors didn’t. Every person who signs up joins a network of people ready to lead the charge to improve air quality in their community and show policy-makers that they want clean air now!